For the most part, MP Justin Trudeau has avoided evoking his father's memory during the Liberal leadership campaign. According to a series of tweets by one Michael Kydd (aka @kydder), he had an encounter with Justin on a Porter Airline flight on Tuesday evening. At one point, Kydder passed a written note to the Liberal front runner asking him: "Can you really beat Harper?" 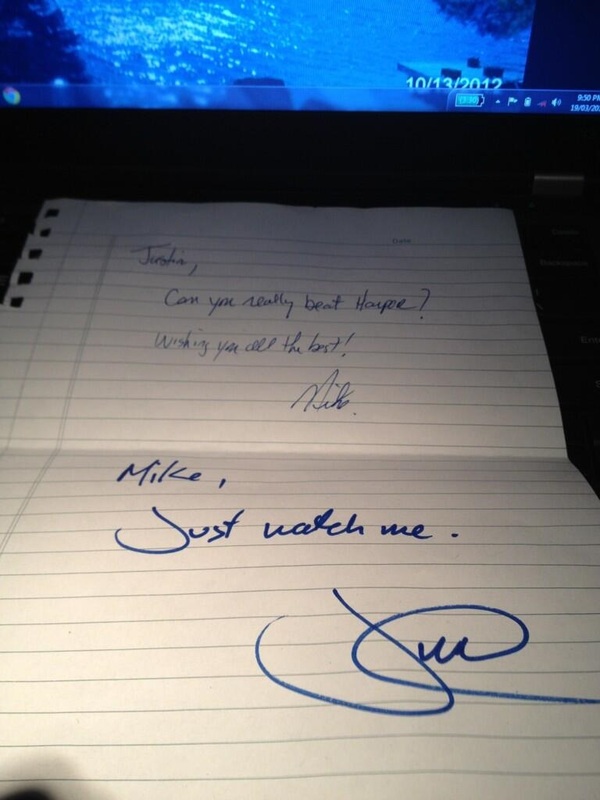 Trudeau replied with: "Just watch me." "Just watch me" of course was the famous — or infamous depending on your point of view — line Pierre Trudeau used in October 1970 during the FLQ crisis in Quebec. When asked how far he would go with reducing civil liberties as part of his invocation of the War Measures Act, the senior Trudeau said: "Just watch me." According to the Toronto Star, Justin Trudeau confirmed that he indeed did write the note to Kydd. Interestingly, many people in the Twittersphere don't think it was a smart idea to write that. And here are a pair of 'juicy' quotes from Senator Doug Finley who, incidentally, was also the Conservative Party campaign manager in the last two elections.